As the ITU World Triathlon Grand Final Rotterdam Local Organising Committee we are proud to announce a fully integrated online accommodation booking system tailor to the individual needs of each international visitor planning on heading to Rotterdam. The Local Organising Committee has setup partnerships and negotiated rates with many hotels in Rotterdam within walking and cycling distance to the course. The accommodation process has been streamlined via the booking system. Rooms at the event rate are limited and available on a first come, first-served basis. Book early for the best selection and price! 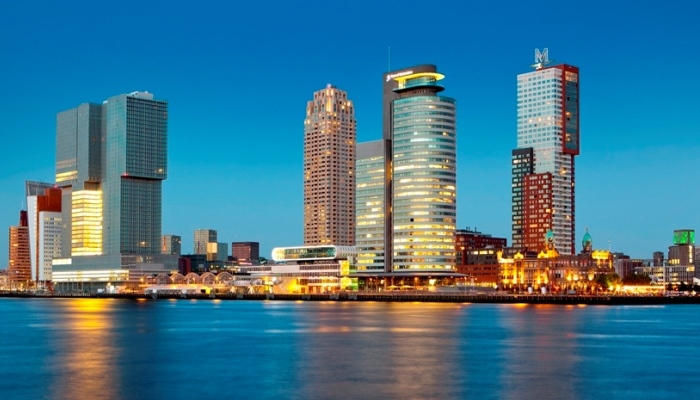 This ensures you of an affordable stay whilst in Rotterdam. No cancellation fee is charged for cancellations before 1 May 2017. For cancellations between 1 May 2017 and 1 June 2017 a cancellation fee of 40% applies of the total estimated charges, as outlined in the billing section of the agreement. For cancellations between 1 June 2017 and 15 July 2017 there is a 60% cancellation fee.of the total estimated charges, as outlined in the billing section of the agreement. For cancellations after 15 July there will be no refund. 100% payment is required to complete the hotel booking process. Sign up for the newsletter and do not miss anything of the ITU World Triathlon Grand Final Rotterdam 2017. Head over to TriathlonLIVE.tv to watch the Elite Men & Women compete in the World Triathlon Series!